Saint Clements Castle is situated on over 90 acres in the Connecticut River Valley. 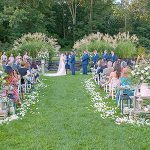 With its convenient location in Central Connecticut, right off route 66 in Portland, it is the perfect location for your dream wedding. The estate overlooks one mile of the scenic Connecticut River. 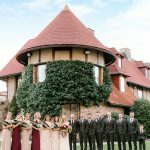 Experience for yourself the beauty and grandeur of Saint Clements Castle and meet our wedding sales managers who will provide you with a detailed tour. Enjoy a glass of champagne or our special Castle Ale while you discover the charming courtyards, grand ballrooms and breathtaking river views.